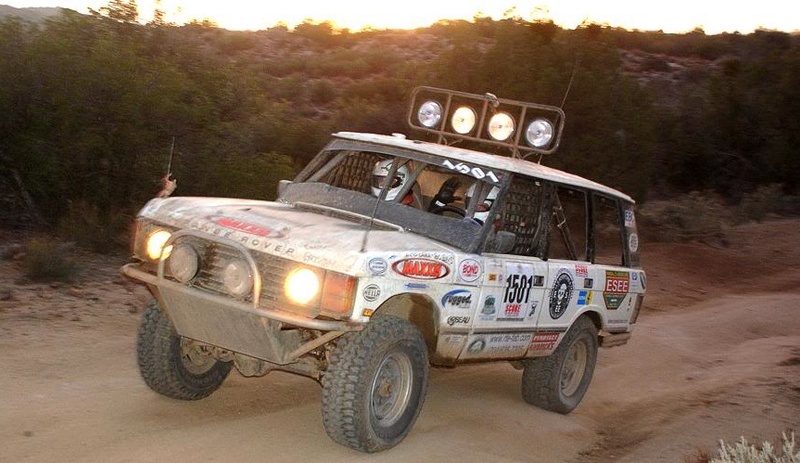 When Elias Christeas piloted his 1989 Range Rover Classic to the front of the pack during the 2011 SCORE Baja 1000 race, it was the culmination of a lifetime spent driving off-road, a do-it-yourself attitude where anything seems possible, and more than a year’s worth of teamwork. The vehicle didn’t finish the race, but for Christeas and his team, called In Search of the Experience (ISOTE), their first taste of Baja was enough to never look back. Though the Rover didn’t make the finish, Christeas and the team only paid $400 for it from a junkyard lot. It had 80,000 miles on the odometer, and the drivetrain looked worthy of the effort to bring the car back to life. They rebuilt and re-engineered the Rover to get it race ready, using a friend’s driveway as a shop. They were amateurs, reaching for a dream of competing in the hardest automobile race in North America. Before the idea to run the Baja 1000 took shape in 2004, Christeas wanted to run a Rover in the Dakar Rally. As it turned out, far more accessible than the Dakar was the Baja 1000. For Christeas living in Southern California, the choice was clear: He was headed to Ensenada. That’s when Christeas found Gerardo Barragan, multiple-time winner of the Baja 1000 Class 3 Trophy. Barragan served as a mentor and inspiration for Christeas. 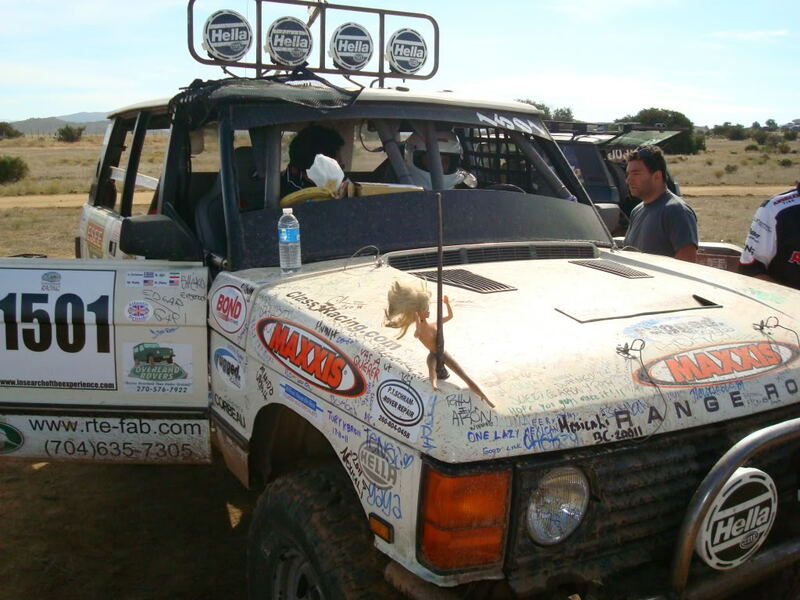 In 2008, ISOTE was founded, the same year that Christeas released a documentary by the same name that covered Rover enthusiasts in the U.S., and brought national attention to him within the Rover and off-road communities. In addition to sourcing Barragan’s wealth of knowledge on the subject, Christeas found answers to his many questions on Internet forums, specifically those dedicated to Rovers. These forums, Christeas says, are invaluable tools. They’re global resources of information that can address nearly any issue that might arise while re-engineering a vehicle for off-road racing. After buying the $400 Rover, called Steve to this day, and assembling a crew of like-minded friends, Team ISOTE began the hunt for sponsors. Funding, obviously, is one of the biggest obstacles facing do-it-yourselfers. Sponsors, for Christeas and others in the same situation, are the key to footing the bill for such an undertaking. Sponsors like ESSE Knives, Hella and Pelican supported the team and helped make the race possible. 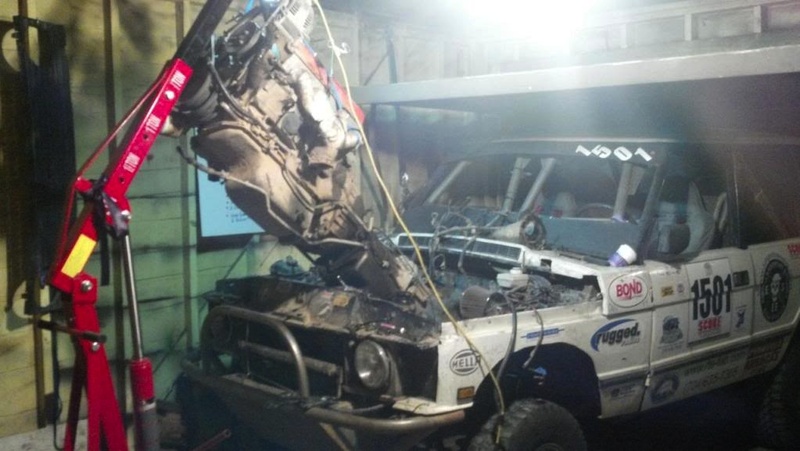 But Christeas makes it clear that if you decide to do something like re-engineer a dead Rover for the Baja 1000, it’s going to cost some money. To the team, Steve will always be the $400 truck. But after the initial purchase, the expenses are unknown. Everyone on the team contributed time and money. And after a year of hard laboring for the love of racing off-road, Steve was ready to run the Baja 1000. Full of confidence, Team ISOTE charged hard from the beginning. They led the class for 411 miles, they passed trophy trucks worth $100,000, and they experienced the thrill of racing in Baja. Most of all, they were deeply impressed with the sense of community they found. Coming out of the Ojo-Negros section of the race, which is the most heavily populated by spectators, Christeas and his co-driver Michael Rady noticed two kids “in an elevated position preparing something,” Christeas says. As he and Rady raced by, the kids threw a package in the Rover. They had assumed the kids were throwing M-80s at them, but the package was actually a wad of micro-fiber towels. And the second after the Rover passed the kids, it plunged into a mud obstacle. The kids were providing racers with towels to wipe mud from their visors. The horror stories, though, are there. Racing Baja is no walk in the park, and the locals often provide unexpected adversity, sometimes in the form of booby traps. Like digging ditches or holes in the track and covering them with branches. Or running a strand of barbed wire across the track and lifting it as a dirt biker passes. Team ISOTE withdrew from the 2011 race on the night of the second day. They were running out of time and the vehicle was worse for the wear. Their first clue that something was wrong with the suspension was the right strut poking through the hood. Although they didn’t make the finish line, they ran their race. But early on the team made a mistake. Which led to the suspension failure that prevented them from finishing the race. When they first purchased the vehicle they failed to notice that the frame had been twisted. The front left corner of the vehicle showed mild damage from an accident, but the team never gave the frame a close inspection—until the post-race teardown, when they noticed the left side of the frame was an inch and a half behind the right side. The frame has since been straightened, and Team ISOTE is on track to race Baja again this year using the same chassis. When SCORE releases the course information in September, Christeas and the team will head south to recon the route. They’ll gather intel on everything from ruts and ditches to refueling points. They’ll also test Steve to ensure the vehicle is race ready. 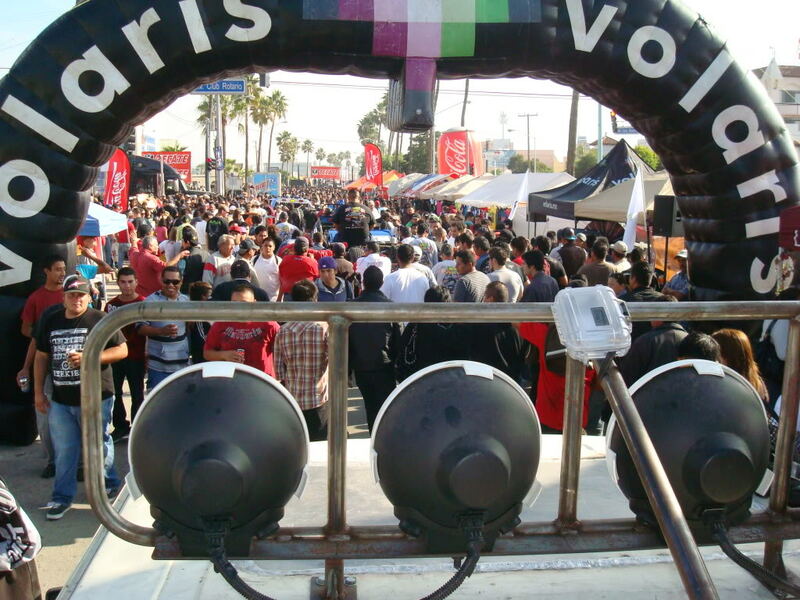 The 2013 SCORE Baja 1000 is scheduled for November 14 – 17. Great story! I chased for a Class 1 car for years and really miss it. Glory Days!